For people on the go, our new mobile app is now available in the app stores! Search Crossroads Bank, IL. Look for our logo and download to your phone or tablet today. View all accounts including loans, Certificates of Deposit (CDs) and Individual Retirement Accounts (IRAs). Make internal and external transfers. Pay your bills and even add new payees. 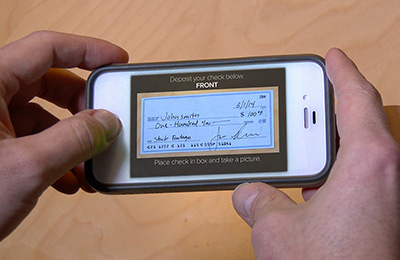 Deposit your checks through the app any time day or night. Manage your debit cards by turning them on or off for added security. Find locations of ATMs or Surcharge Free ATMS in the area. Set up security and account alerts – enable or disable as needed.